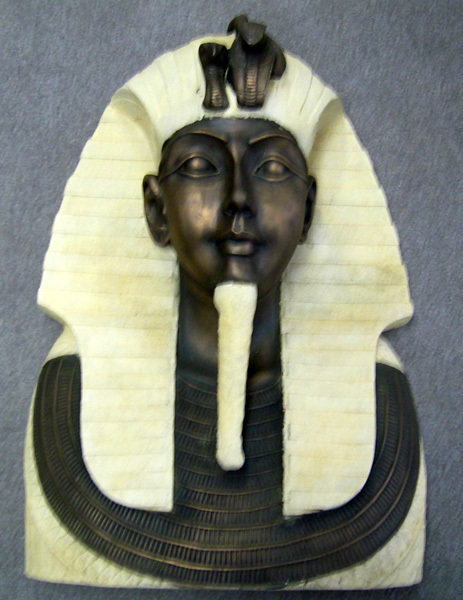 Tutankhamun Bust, Size: 27 in. tall. 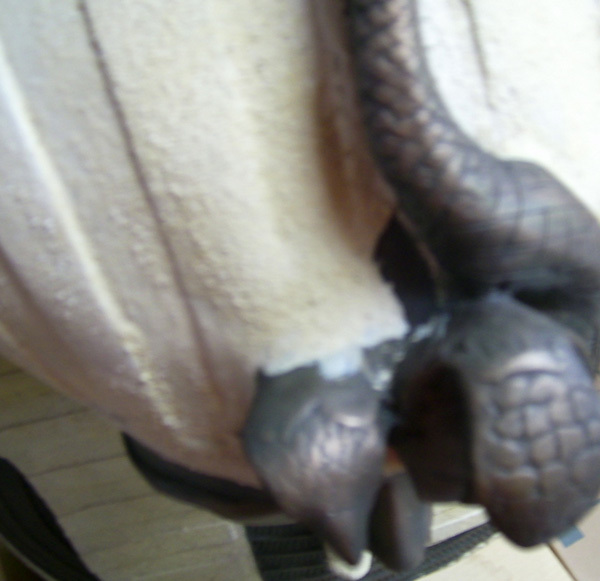 Hand Finished Polyresin in great detail, perfect for decoration. These really stand out and call attention to themselves. Adds a unique touch to any room. 95% of our orders ship within 3-5 business days plus a few days transit. This is a bust not finished all the way around. Perfect as a wall hanging. small chip in the stone ontop of the head, see additional picture. Hand Finished Polyresin Pharoah Tutankhamun Bust. Stone-Bronze.